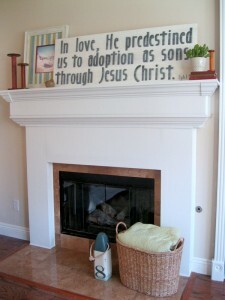 One of my favorite things to decorate our home with is Scripture. 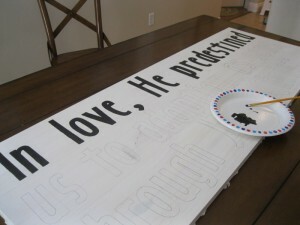 I adore a block of wood hand painted with a Bible verse (check out: http://www.etsy.com/shop/graceforgrace), a canvas, or a simple print that can remind my family of God’s Word. 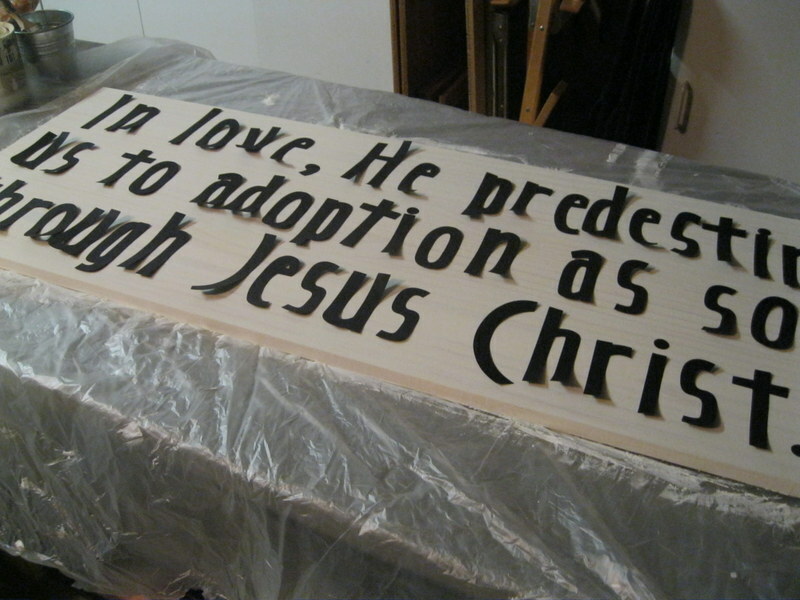 A couple months ago I made a wooden sign with the verse, “I will not leave you as orphans, I will come to you” (John 14:18) for an auction our church hosted to raise money for families who are adopting children. I have loved that verse for a long time and was inspired by our dear friends who adopted their son from Ethiopia last year. They have a huge (ginormous!) heart for orphans. The father shared that at the end of their visit at the orphanage when they had to leave their son behind (Ethiopia requires a two-visit process,) he whispered those words to his son. 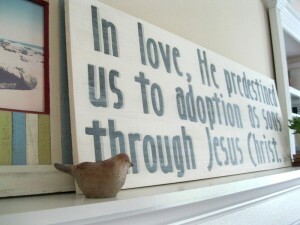 They are now united with their son and it is such a beautiful picture of God’s gracious love for His children. My sign sold at the auction (thankfully) and my sweet friend Lesily did not win it (don’t worry, it still went to a very loving home). I promised her that I would make her one too. Fast forward 3 months and I finally got around to doing it. 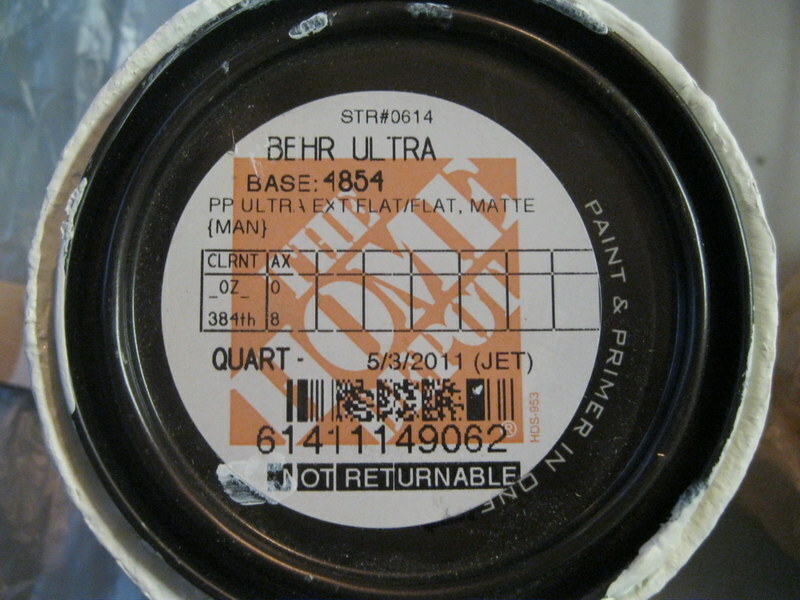 Step 1: Go to Home Depot and either use this formula or try to track down someone who will understand your instructions to make a white paint that will stick to wood, be thin enough to still see the wood underneath, and will sand off wood easily to give a worn look like I did. 🙂 While you’re at the hardware store, grab a piece of wood. Our piece was $16. 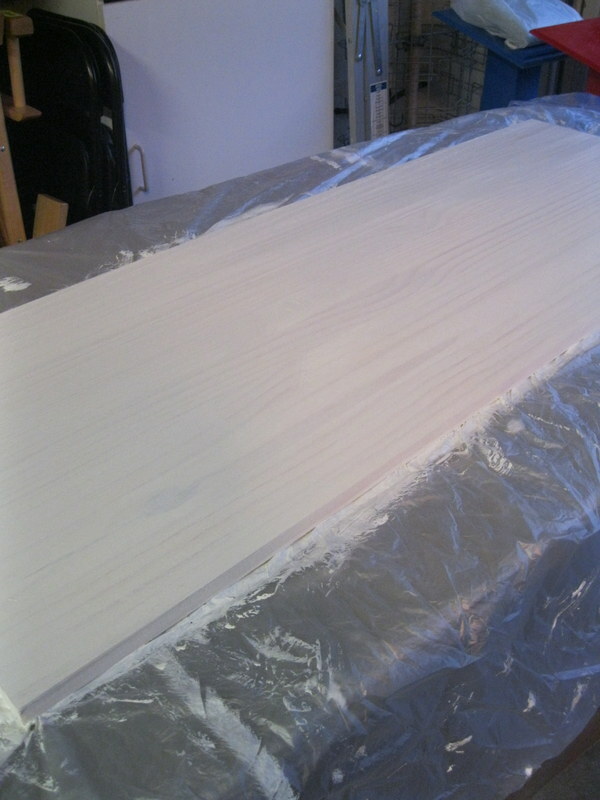 Step 2: White wash the wood. Use a paint brush and a bit of water to apply a thin layer of paint to the board. I like seeing some of the wood grain showing through the paint. Step 3: Choose a verse. 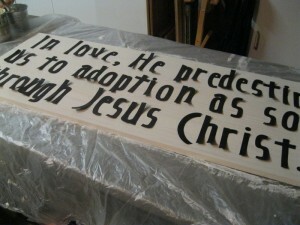 Lesily decided that she wanted “In love, He predestined us to adoption as sons through Jesus Christ” (Ephesians 1:4-5). 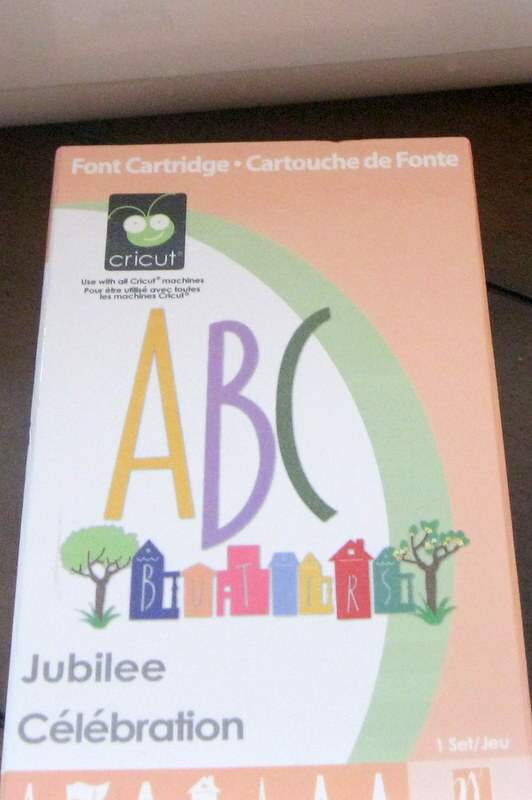 I used my Cricut to cut out letters for the verse using the Jubilee cartridge. I like the hand painted look, so I used these as templates to trace around. Lay out your letters and adjust the spacing and then trace around them. 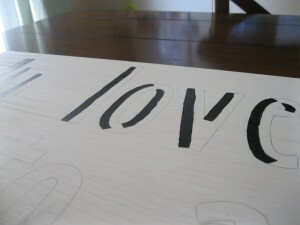 Step 4: I used black acrylic paint to fill in the letters. 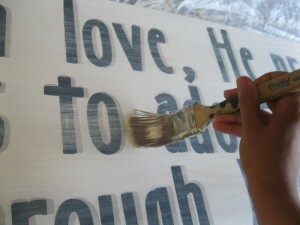 I found that working on one side of the letters and then turning the board around (up-side-down) worked well for me. 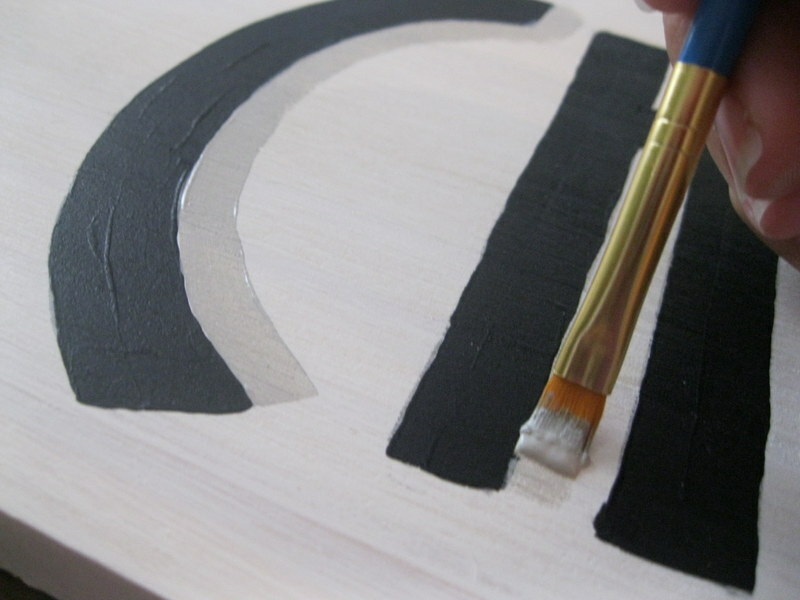 Don’t worry if your lines aren’t perfect… it makes it one of a kind! 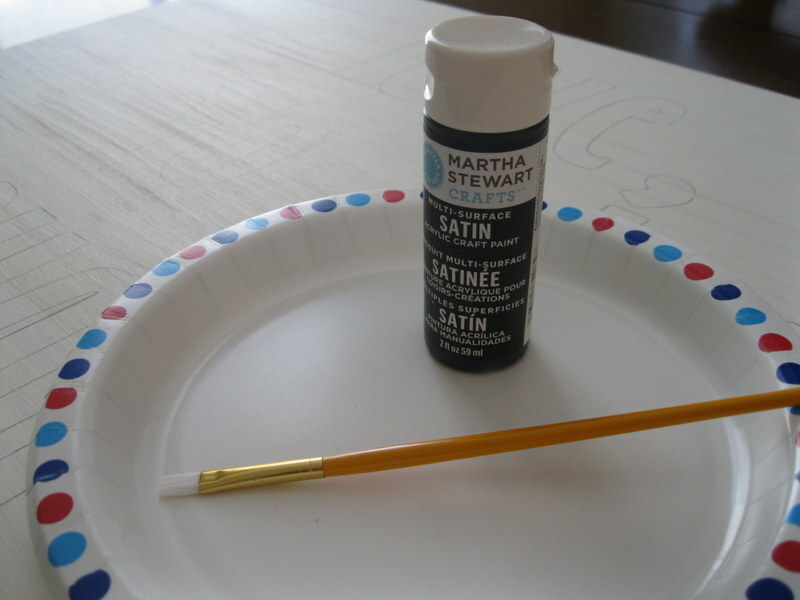 Step 5: I used gray acrylic paint and painted in the shadows. Step 6: Take the white paint used in the first step and paint it over the entire board. Add water if it’s too thick and use a rag to wipe off. Just play with it until you achieve the desired look. I did some dry brushing as well. Step 7: Sand it. I sanded over the entire board adding to its worn look. 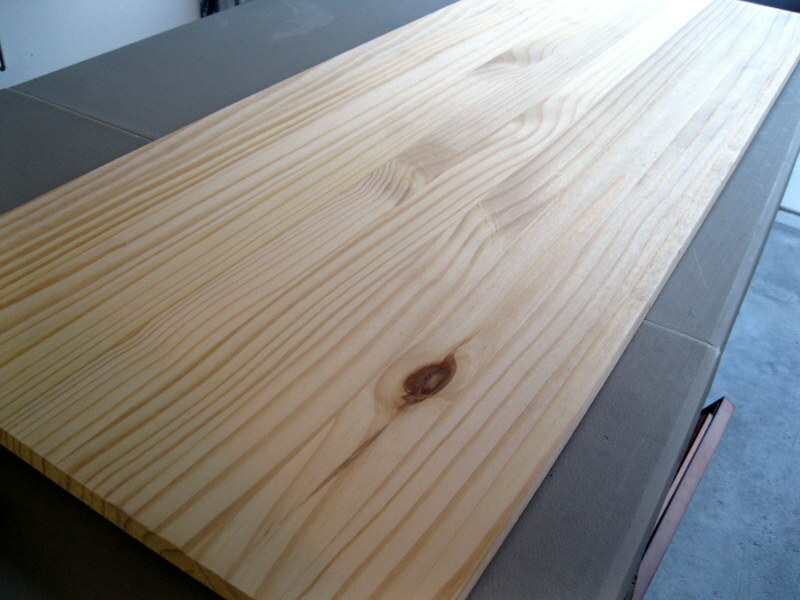 I also sanded the edges of the board until the wood started to show. Lesily has been such a dear friend to me. I hope she loves her new sign! Do you like decorating? What verse would you love to see displayed in your home? I DO love this sign! 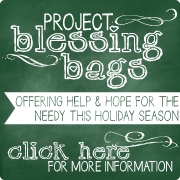 Thanks Deb for taking the time to make it, and for sharing how to do it :)!!! I hope others will be brave enough to try one of their own too! Wow, Deb!! You outdid yourself! That’s beautiful. You’re a sweet and generous friend for sure. Love you! so fun! love it! I will have to get back to you on the verse.